According to his website, he is an attorney in Minnesota. Grant decided to mention it via Twitter yesterday, and it raised questions about his comments. What kind gentleman is he? Need education? No common sense? The point is some people out there are obviously ignorant and/or maybe clueless like Aaron Hall. Grant is a WordPress die-hard fan and wanted to learn how to take advantage of it as much as possible. He has been using the WordPress program since it released in the early stage of version 2 – that’s mean he’s using it for approximately 4 years by now. He started using the WordPress platform for most of his clients (as many as 10 of them so far). 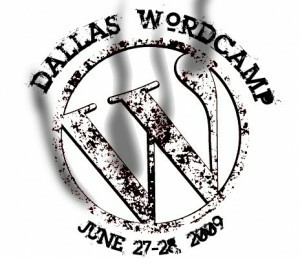 Grant learned about WordCamp Dallas last year. The host, Charles Stricklin, agreed to waive admission fees in exchange for no interpreters. Grant has no objection about it because he wants to see what it is like himself. He attended the two-day workshop without interpreters in Frisco. It was very hard to understand anybody, really. He remembers this particularly because John Pozadzides, who gave very good presentation, had 50+ pages on his slide show. Believe it or not, Grant made blog and vlog about it on his website. Check it out! The rest of workshop is hard to understand without interpreters. Naturally, Grant got excited that we were having WordCamp Dallas again this year. He contacted them directly via the WordCamp Dallas website but no one responded. He also contacted Tony Cecala who hosts DFW WordPress Meetup – he figured Tony can help because nobody from WordCamp replied back to Grant. He told Grant he forwarded Grant’s email to them. Also, Grant contacted Lorelle VanFossen who is well known in the WordPress community. He also purchased her book at WordCamp 2008. In her email, she mentioned that Matt Mullenweg (founder of WordPress) and Automattic (name of company that supports WordPress) has nothing to do with the WordCamp operation itself. She also mentioned that interpreters are expensive. Grant also contacted a DARS representative for support and ideas how to get them to provide interpreters. At this time, he was frustrated that he was getting nowhere until after the DARS representative called the University of Texas at Dallas’s facility. (It is a public university which applies to Section 504 law; does it count if they just rent the facility?) At the same time she found out who was hosting WordCamp Dallas 2009, which was John Pozadzides. The DARS representative and Grant exchanged emails exclusively – it is like moral support. Keep in mind, she did not participate in any of Grant’s email exchanges with people from WordCamp Dallas. Also, the DARS representative suggested Grant to get an interpreter estimate for the two-day workshop, which he did. Two estimates from two agencies said that it would cost approximately $2,500 and up – it’s expensive because of the weekend which the agencies considered overtime pay. (Ugh!) He also contacted a couple freelance interpreters and got a better deal. John finally got in touch and he’s very patient with Grant. He asked how much it costs and tried to understand how it works with the whole interpreter situation. Grant gave him the freelance interpreter phone number, hoping they will figure it out. John is very positive and wants to make it possible somehow. John declared that the interpreter situation worked out. He even encouraged Grant to welcome more deaf and hard of hearing attendees, and he pulled four Deaf people all together. Grant was thrilled about the workshop after spend many countless emails and Twitter for three months. It was crowded that weekend, but filled with excitement and people hungry to learn new stuff. We had two amazing interpreters the whole weekend. Grant felt blessed to be part of the workshops. He believes this is one of the first times that WordCamp Dallas ever offered a sign language interpreter and hopes other WordCamps will follow in the near future. It was Grant’s understanding that Automattic paid the interpreter fee, which wasn’t even mentioned on John Pozadzides’ post called “An Open-Source Look at the Cost of WordCamp Dallas”. THANK YOU, AUTOMATTIC. YOU ROCK! Believe it or not, it means a lot to us – we truly appreciate your making every effort to make it possible! Thank you John Pozadzides, Cali Lewis, (I know that her website doesn’t have subtitle for its video but that’s another story) and WordCamp 2009 Team for the amazing workshops! Finally, Grant hopes we all learn something from it. Hopefully, you can use some ideas from this for your future WordCamp event or other events. Anything is possible. Grant will be back next year. Sam Dunn is one of the deaf attendees at WordCamp Dallas 2009, he posted a cute cartoon about it. Check it out! 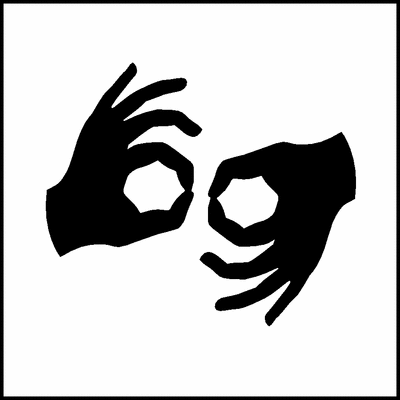 Also, see select videos with ASL interpreters created by Dave Curlee. Hopefully he will post more videos with ASL interpreters in the near future. To view PDF file – click here in case they remove post and/or comment.